Most states in the U.S. require an alcohol seller/server permit for an employee of an establishment to sell or serve alcoholic beverages to any customers . 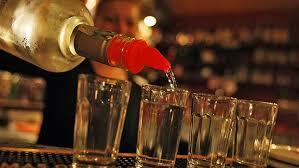 To obtain your permit, you will need to complete the alcoholic beverage or bartending training. This is outside the general permits and licenses that are needed to operate the establishment. The owner’s permit or license does NOT apply to you, the employee. Having an alcohol seller/server permit will typically be a requirement for employment in most states. Some may allow for a grace period. Having the proper alcohol seller/server permit, however, protects you and the establishment from legal retribution should any incident occur in relationship to you selling alcoholic beverages to your customers. The material in the course is vital to you understanding about how and when you can serve alcohol. Start learning how you can get educated and prepare for alcohol selling and serving through our convenient online course. Be informed about your responsibilities and what you need to know to ensure a safe and positive beverage service atmosphere. Many states separate their alcohol seller/server permits into two categories. For selling inside the establishment, you will need an on-premise permit. This includes servers in restaurants, bars and hotels. Generally, states require these licenses to be renewed annually or biannually. While consumption of alcohol is legal, overconsumption is illegal in all states. Each state sets it’s standards for a blood alcohol level. Operating any motor vehicle while exceeding the standard constitutes a criminal violation. Worse, however, are the accidents that may happen under the influence of alcohol that can seriously injure or kill others. The alcohol seller/server permit that you receive is an important training. Being able to monitor customers’ behavior while they are consuming drinks may require you to intervene and stop selling to them. You might save a life by doing so. Furthermore, by having your alcohol seller/server permit, it gives you and your establishment owner a level of legal protection from anything that might happen to a customer that later gets stopped by a law enforcement official, or as a result of litigation that the driver or his family may take against you personally, or the establishment. Check our list below and sign up for the alcohol seller/server permit that you need. Be sure to take the course based on your state and the type of license you need (on-premise or off-premise if there is a choice). You can take the course a just a few hours and you’ll receive your permit immediately after completion. If you will be at a restaurant, you may also wish to check out our Food Handling Courses that may also be required. Illinois Learn2Serve Illinois BASSET Certification + Food Handler Training Certificate Program $19.99 Enroll Now"